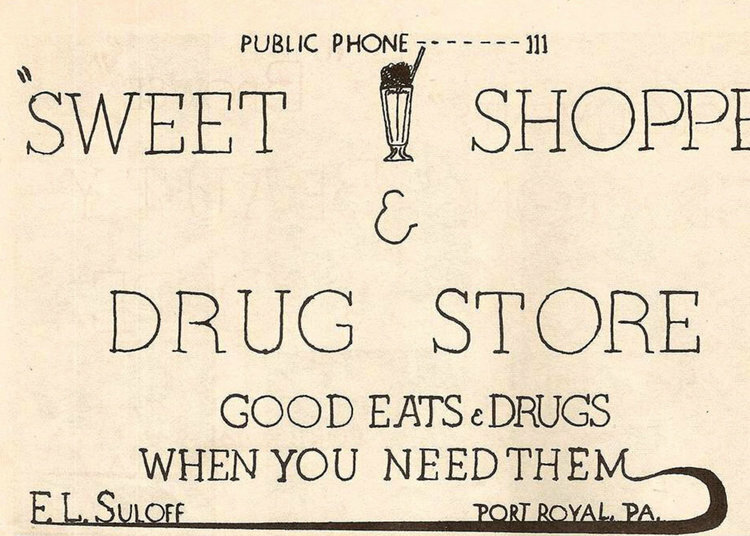 The 'gathering place' in Port Royal for many years was the restaurant/drugstore located on Market Street across from the old U.S. Post Office. 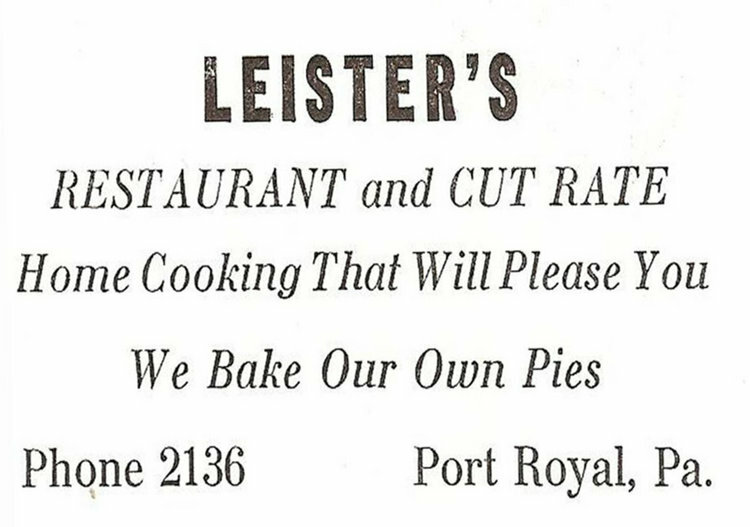 This establishment was owned and operated by Curt and Helen McMullen primarily during the decade of the 50's, and later in the mid 60's by their daughter and son-in-law Loubrinton (Toots) and Lee Kilmer. (Prior to the McMullens the property had been owned by S. G. Beaver and later by Frank and Grace (Hartman) Suloff and for a short time by Paul Beale.) The restaurant served as a social center and dining spot for the local citizenry and travelers too, especially on Saturdays--Race Night. The restauant also functioned as an adjunct 'cafeteria' to the Tuscarora Valley High School. 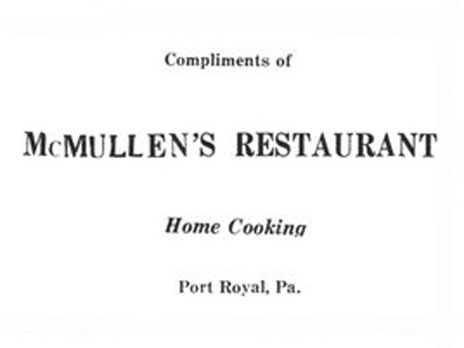 The restaurant/ drugstore was adjacent to the two-story brick home of the McMullen's and their neighbors were the Shellenbergers (Cricket's Barbershop). 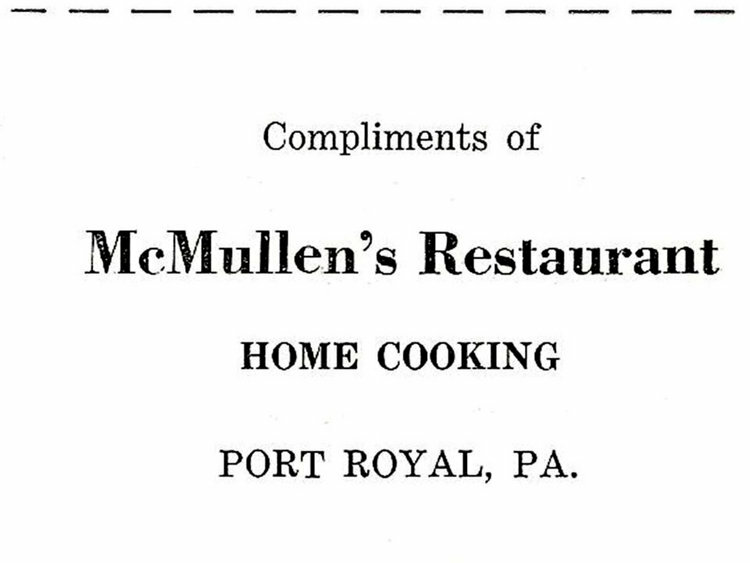 Both the restaurant/drugstore and the McMullen's former home were destroyed by fire and only a vacant lot marks this favorite Port Royal landmark today. 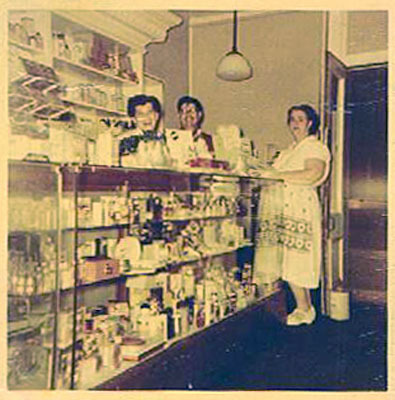 A note from the Port Royal Times (25 May 1960): SALE OF PROPERTY: John Leister bought from Mr. and Mrs. Curtis McMullen both the drug store and restaurant on Market Street between Second and Third Streets. 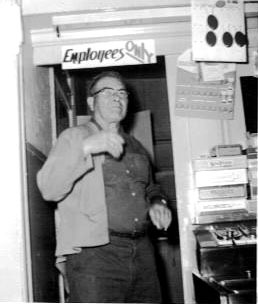 Sometime after the McMullens, Kilmers and Leisters owned and operated the restaurant, it was owned and operated by Clair and Connie (Knepp) Parson as Parson's Restaurant, from May 1966 until June 1976 when it was destroyed by fire. Shortly before midnight on Thursday evening [17 June 1976], the fire alarm sounded in Port Royal, then urgently a second time. Residents looking out their windows immediately saw the tower of flames silhouetting the night sky. "It looked like the whole town was on fire," agreed the spectators who assembled around the scene within minutes. The Leroy Kirchoff family, in whose home the fire is believed to have started, huddled closely together as they wept. Connie Parson, owner of Parson's Restaurant, fell into a friend's arms and clutching the one salt shaker rescued from the business, half sobbing and half laughing said, "This is one way to go out of business." Veteran barber L. O. "Cricket" Shellenberger caressed his barber's chair after it was brought back into this shop, which narrowly escaped being engulfed in flames, too. The blaze, which, according to Mrs. Kirchoff, began in the kitchen of their home, belonging to H. J. Kramer, Port Royal RD, as she went to put on some coffee water, accidentally turning on the wrong burner, on top of which was a pan of grease. The Kirchoff home was totally destroyed, as was the adjoining Parson's Restaurant and Dining Room, owned by Clair and Connie Parson. Also affected was the home of Mr. and Mrs. Eugene Longacre as well as another building owned by them, occupied by James R McLane. 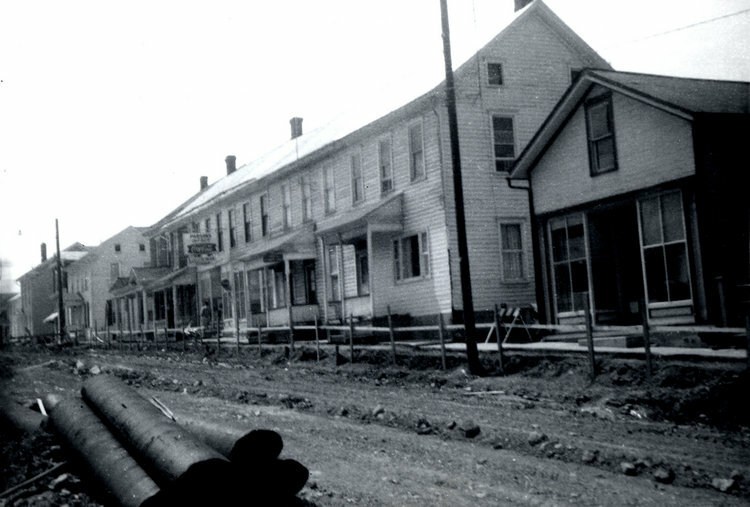 The row of buildings, all wood frame, approximately fifty years old, were connected without any fire walls. The Kirchoff home, in the middle of the row immediately sent flames in all directions. According to Wendell Longenecker, Port Royal Fire Chief, and Assistant State Fire Marshall, damages can be set in the $100,000 range with all the buildings declared a total loss. Close to 100 volunteer fire fighters took part in the operation. As a result of the disaster, three families are homeless, and one business totally destroyed. Advertisement from 1936 PRHS Yearbook. Unsure when Paul Beale owned and operated the restaurant. (Submitted by Wayne Taylor. Curt McMullen guarding entrance to restaurant kitchen. 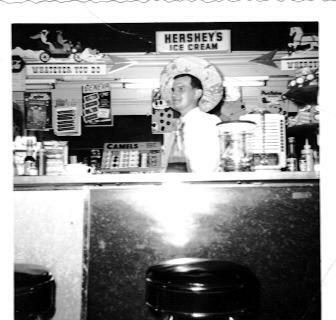 Lee (Pancho) Kilmer commandeering the soda fountain. The Parson Restaurant sign can be seen in the middle left of the picture. 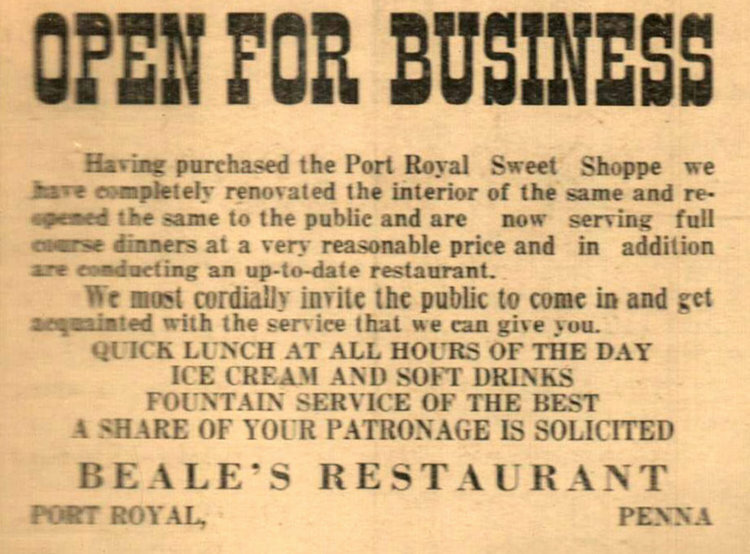 Advertisement for the restaurant when it was owned by John Leister. 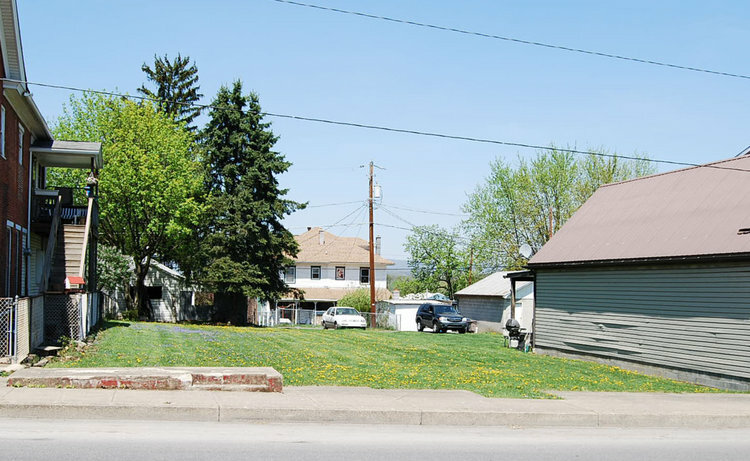 This is how the vacant lot appeared in the Spring of 2009. The lot has remained vacant since the buildings were destroyed by fire in June of 1976.